The Last Witch Hunter Coming to Comic-Con | Nerd Much? Lionsgate has officially announced what they’re bringing to this year’s San Diego Comic-Con, and it’s two of the studio’s most anticipated movies of 2015: The Hunger Games: Mockingjay – Part 2 and The Last Witch Hunter. Lionsgate will be having a panel in Hall H on Thursday, July 9th. The panel will be hosted by Conan O’Brien. Of course, The Hunger Games: Mockingjay – Part 2 panel will give attendees a sneak peak at the final chapter of the series, and will also see a Q&A session with the cast and filmmakers. But of more interest to us is the The Last Witch Hunter panel, which will have the cast previewing exclusive footage from the movie before its worldwide debut. The cast includes Vin Diesel (Riddick, Furious 7), Rose Leslie (Game of Thrones), Elijah Wood (Lord of the Rings, Cooties), and Olafur Darri Olafsson (The Secret Life of Walter Mitty, Contraband). 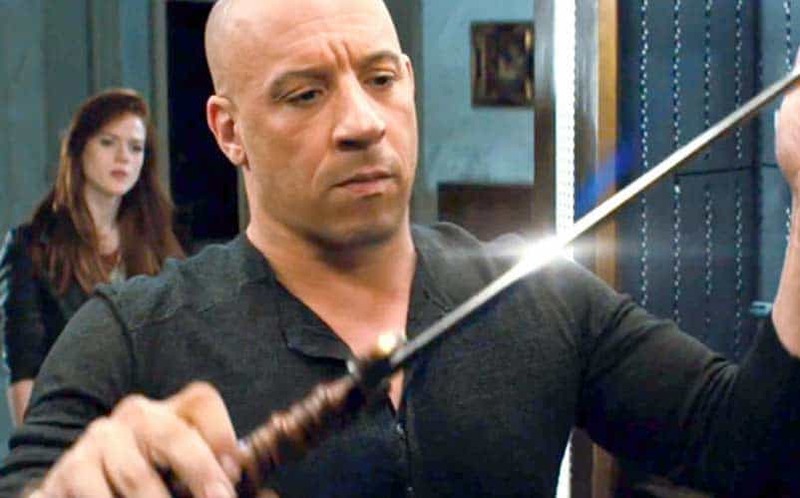 The Last Witch Hunter will follow Kaulder, the last witch hunter (Diesel), as he takes on the combined forces of the most horrifying witches in history, forcing him to team up with Chloe (Leslie), a witch herself. You can check out the first trailer for the movie here. The Last Witch Hunter’s release date is set for October 23, 2015, and The Hunger Games: Mockingjay – Part 2 is scheduled for November 19th.